Literally Ice Jewelry by Erika Zorzi and Matteo Sangalli ~ just dip your chains in ice and freeze... interesting idea to keep cool ~ just a matter of time before there will be pearl necklace silicone ice molds? 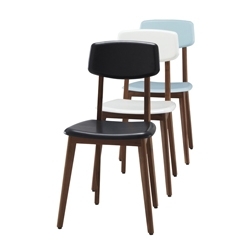 Limited Edition Eames Hang It All by Herman Miller. Reinventing a classic has never been better. 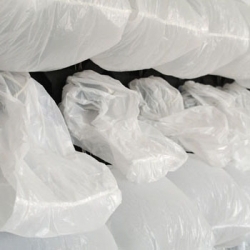 Nils Voelker's One Hundred and Eight is an art installation in which 108 plastic bags inflate and deflate using computer-controlled fans. 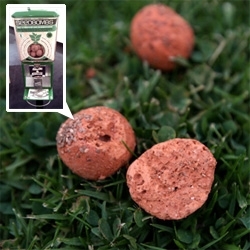 FEATUREDSeed Bombing - Found one of the Common Studio Green Aid seed bomb machines at Fred Segal... testing out whether they work! Hypercomics: The shape of comics to come, an exhibition on the future of comics at the Pump House Gallery in Battersea Park. 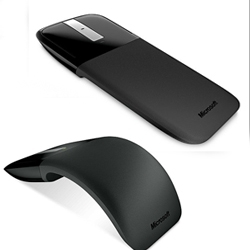 Microsoft's 'Arc Touch' mouse arches its back for comfortable mousing before packing flat for easy transport. 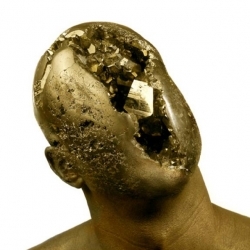 Hani Rashid's metallic nickel coated 'Ubu.MGX' Vase for Materialise. 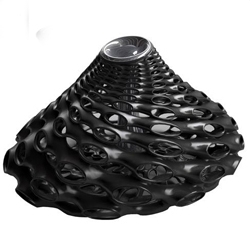 Parametric design as art-object. 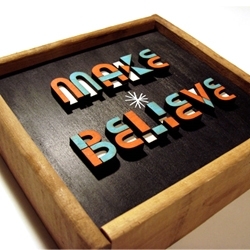 'SOMETHINGMISTAKENFORNOTHING', a solo exhibition of new works by Scott Albrecht. 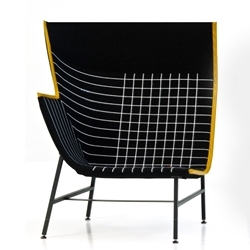 'Scoop' chair by Tom Dixon. 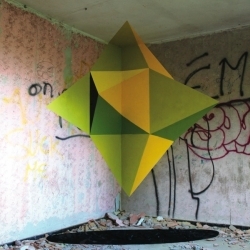 Part of his new furniture collection to be launched during 2010 London Design Festival. 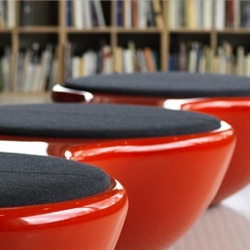 'UnionPanorama' bench by Jangir Maddadi Design Bureau. Fiberglass bench available for both indoor and outdoor sites, covered in leather, teak, or Corian. Samsung SuperSwypers: the fastest journalists on earth (for free). 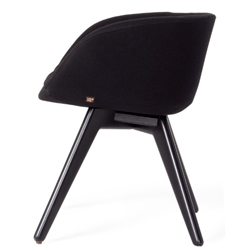 The chair Marcello is designed by Nathan Yong for Ligne Roset. Great 60's look combined with timeless greatness. 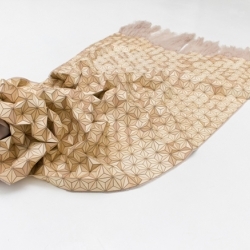 Elisa Strozyk's Wooden Carpets are flexible. 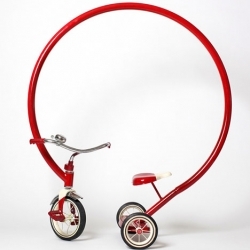 They can be rolled up and transported with ease. 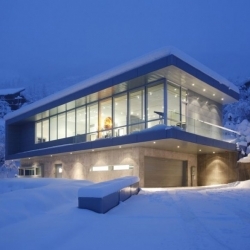 The Scholl Residence in Aspen, Colorado, designed by Studio B Architects. 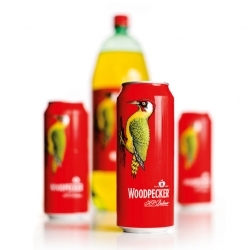 Smith & Milton created these beautiful cans for Woodpecker Cider. Meet Mr. Weekend. 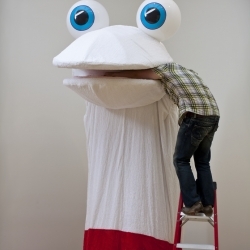 A 15-foot tall robotic sock puppet by Seattle artist Mike Simi. Be sure to check out both videos. 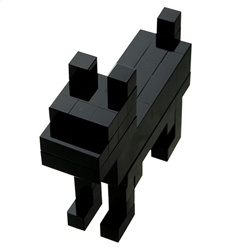 'Gino' figurine by Harry Allen for Gaia&Gino is made of 135 crystal cubes all glued by hand...available in clear, blue, green and black. 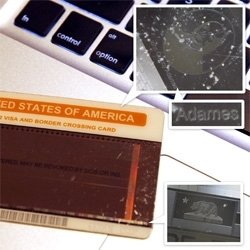 FEATUREDA microscopically close up look at a US Visa Card... checking out the tiny row of all the presidents and state flags... and perhaps a typo? 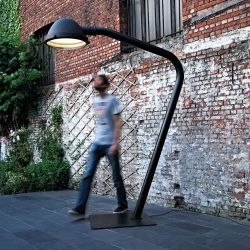 Dutch designer Jacco Maris has created the Outsider Lamp collection. The NYtimes looks at some prized aquariums. 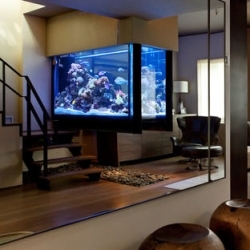 Great slideshow of these six figure fish tanks. 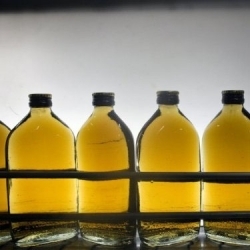 Scottish scientists have discovered a biofuel to help power cars that is produced as a by-product from the distillery process used to create whisky. 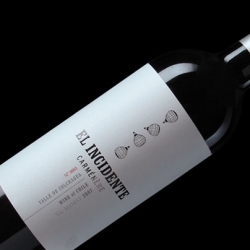 Campoy Príncipi Domenech's bottle design for El Incidente depicts Don José Miguel Viu’s ill-fated hot-air balloon ride over his vineyards in Colchagua Chile. 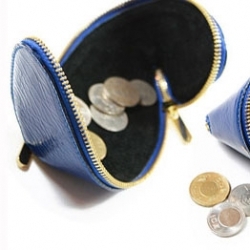 Cute coin purse from Bangkok based Quote. Boldinc's bottle design for Sant & Sinner (S&S)'s calling card range. 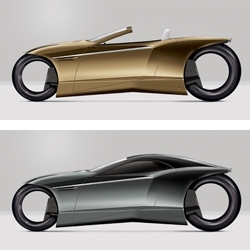 New Zealand designer Paul Wilding has once again created a beautiful masterpiece with his new Electric MotoPod concept vehicle. The MotoPod gives the rider a complete sense of safety, speed and laid-back riding enjoyment. 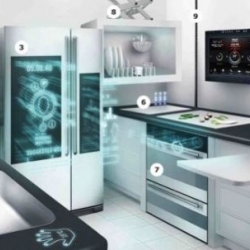 IKEA's kitchen of the future: By the year 2040, your kitchen will be your personal trainer, psychologist and lifestyle coach. 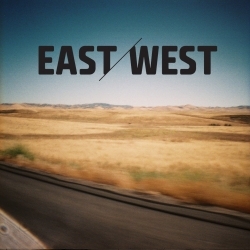 This linear story of a cross country adventure was photographed on various 35 and 120mm cameras and compiled into a horizontally scrolling website. 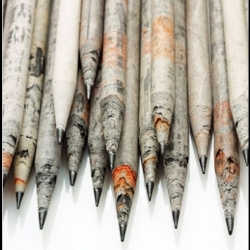 Beautiful pencils made out of 100% recycled newspaper. 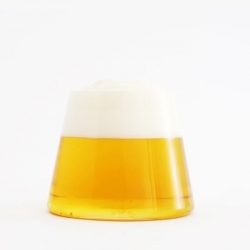 FUJIYAMA GLASS is a beer glass looks like Mt.Fuji that the tallest mountain in Japan. Beautifully packaged in a wood box. 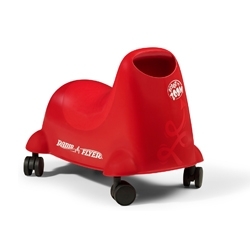 Scoot n Zoom - New Ride-On toy from Radio Flyer, beautiful shape inspires imaginative play, and the casters allow for motion in any direction. 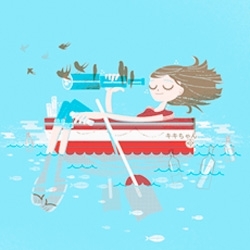 Lovely new print 'Loveletter' from The Tree House Press available from the TTHP store. 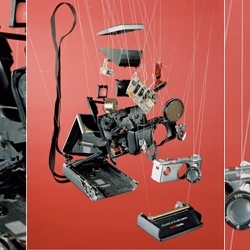 Fine artist / photographer Ben Innes presents "Separations," a collection of exploded objects on strings photographed in front of solid colors. 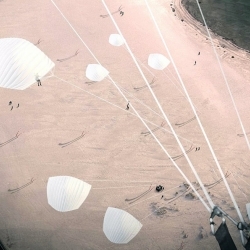 This high-flying kite farm combines my two greatest passions - renewable energy and extreme parasailing. 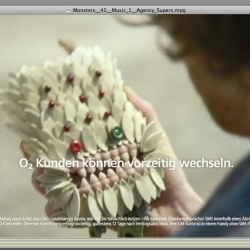 German phone ad campaign featuring Longoland's monsters. Agency : VCCP Directed by Stylwar. 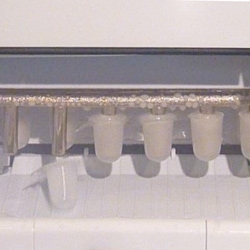 The Pegu Blog reviews the NewAir Portable Ice Maker. 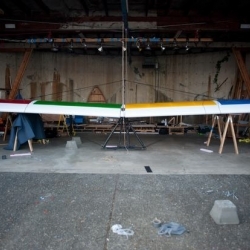 Interesting experimental Adaptive Keyboard by Microsoft. 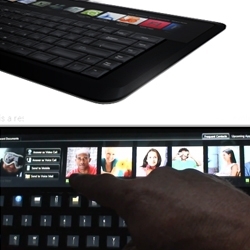 Explores how combining display and input capabilities in a keyboard can allow users to be more productive. 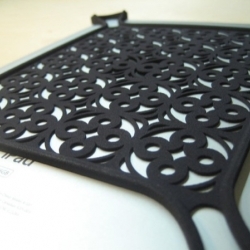 Wrap your iPad in 3D printed goodness. A custom pattern applied to the Canvas Wrap from jbare design. 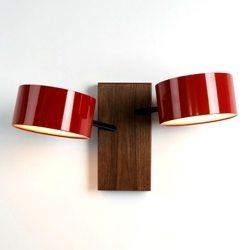 'Excel Double Sconce' designed by Rich Brilliant Willing for Roll & Hill. 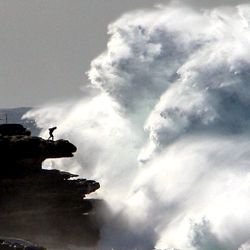 Impressive imagery of man vs. giant waves at Australia's Bondi Beach. 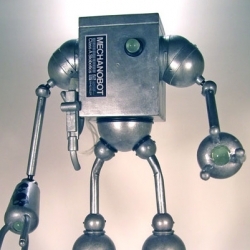 Mike Slobot just finished this Mechanobot , a Slobot commission to accompany a found object motorcycle sculpture. 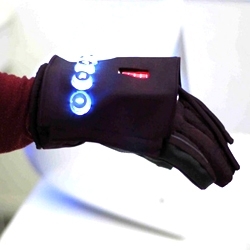 Kevin Cannon & Ashwin Rajan's 'Frontline' networked gloves allows fire-fighters to use hand gestures to communicate with each other in a fire-fighting situation. Doshi Levien's 'Paper Planes' seating collection for Moroso. 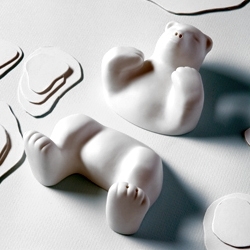 Cute 'Belly-Up' salt and pepper shakers by Imm Living. 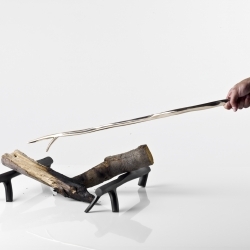 Philippe-Albert Lefebvre industrial design bachelor of University of Montreal has created a range of fire tools by casting hand-carved branches in bronze and iron. Called Bronze Age. 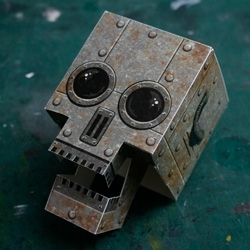 Free downloadable steampunk-style robot update to the classic Skull-A-Day papercraft skull with moving jaw.